Acer is a very trusted and one of the biggest players in the field laptop throughout the world. It is able to provide a product with something new every time in it and due to this, it is one of the leading brands in computer world. 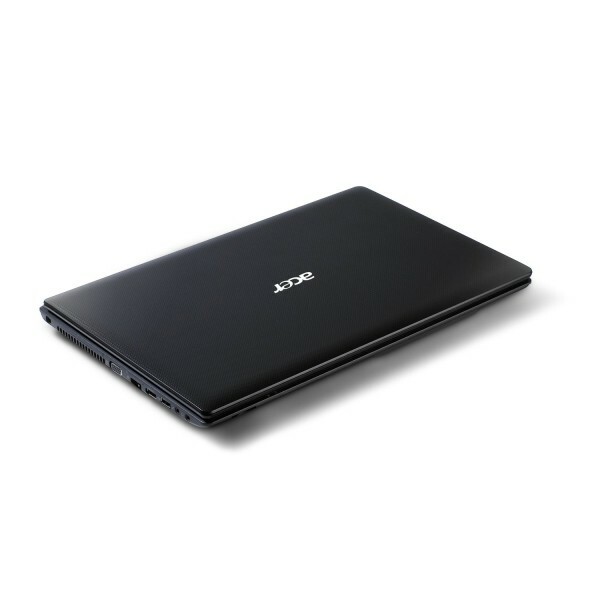 Acer AS5742-7653 is one such product which is designed specially keeping in view the budget of people. It is a perfect example for someone who wants a good performance from an affordable laptop. Its cheap price does not mean that company has made any compromise of some sort on the laptop. This fact is easily supported by the configuration kept for this laptop by Acer. This laptop is able to offer all the big features like large RAM capacity, good graphics and large hard disk capacity for storage which is supported by input-output ports. Its screen is full 15.4 inches and it is a great notebook in this range of price with all these features. Acer AS5742-7653 is powered by Intel Core i5-460M dual core processor which helps in boasting its performance. The CPU is having 2.53 GHz running speed and with the help of special Intel Turbo Boost Technology, it can offer a high speed up to 2.8 GHz which depend on the computing power demanded by the application. It is having an Intel 128 MB VRAM for its graphics needs which is able to deliver a very good HD video quality and is also good enough for games section. It has a spacious 500GB of SATA hard disk in which a very large amount of data can be stored including all kind of media and document files. In addition to all this, ACER AS5742-7653 is having a large 4GB of DDR3 RAM which ensure there’s no holdup on its computing power and is fast even while running advanced programs or heavy multitasking. Other then all this, Acer AS5742-7653 has a high resolution LED backlight display with native 720 HD resolution, high brightness of 200 – nit and 16:9 aspect ratio, a optical derive of 8x Super-Multi DVD burner with double layer support, fast Bluetooth 3.0 connectivity, integrated 1.3 MP webcam with digital mike, Wi-Fi Draft N for greater range and speed and many more. It has a six cell lithium-ion battery which is able to run the laptop for 3.5 hours without external power supply. With all these features, this laptop is just not the one you will want to pass on.